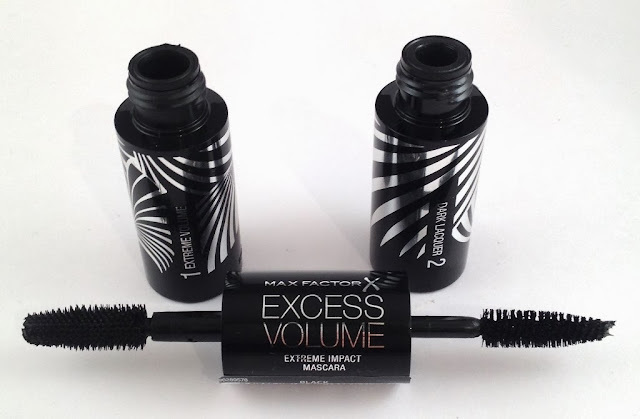 Excess Volume Extreme Impact Mascara in Black comes in two phases, the first plastic brush separates and provides extreme volume and the second traditional style brush provides dark lacquer. Indulge your lashes with the ultimate combination of a volumising base, then an intensifying lacquer. Take your lashes to excess. The tube is quite a thick barrel and as my hands are small I was a little apprehensive of the handling but I needn't have worried as using the mascara was fine. This side of the brush contains many close together bristles and this separated my lashes beautifully to give the appearance of an abundance of lashes. A couple of coats later and I had wonderfully long lashes. I could wear this mascara as is. Applying this over the top of the previous mascara achieves a darker, more intense appearance and stand out lashes. The lacquer seals the mascara and thickens the lashes. 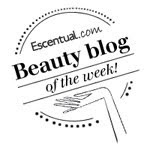 The end result is one that I love very much, my lashes are lust and flutterworthy. They stand out and have high impact. Excess Volume Mascara is a great addition to the Max Factor Mascara family, the formula is not overly wet, the brushes are easy to use and the effect is impressive. I loved the effect of it so much it prompted me to make my first ever youtube video! I'm not usually a huge fan of 2 step mascaras, maybe it's laziness, but the difference it makes to your lashes on these pictures is gorgeous! Think All Mascaras Are The Same?